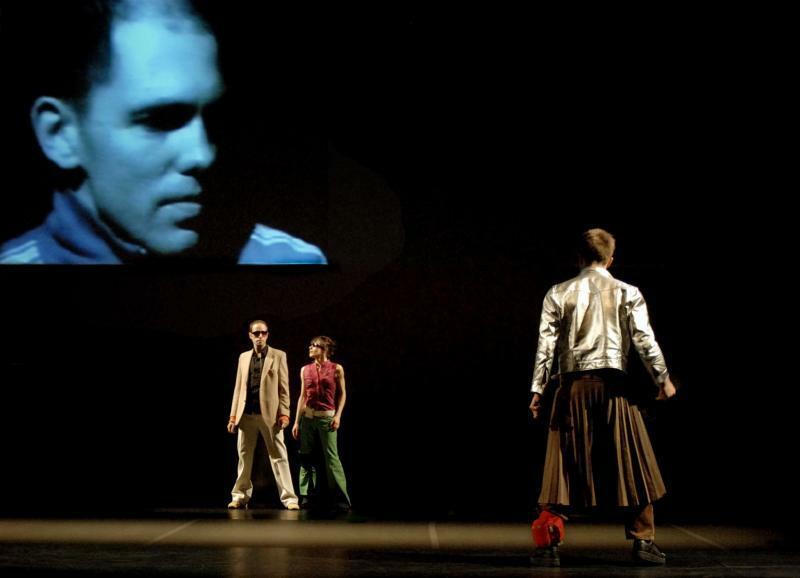 Kurt d’Haeseleer created the video design for Isabella Soupart’s take on one of Shakespeare’s emblematic works. Hamlet is projected into a world ruled by the powerful media and imbued with the films of Antonioni, the Japanese cinema and other influences. Drawing from literature, cinema, music and dance, this Brussels-based director distils from them an approach of her own: an eminently personal visual, spatial and auditory world. Excerpts from accounts and interviews complete this vision of a hyper-mediatised world that is under surveillance. To a background of live rock music, the actor-dancers clash with the mechanisms of power, the violence of love, insanity and destruction. Hamlet “revisited”.